Home/Uncategorized/Fujikura Ventus is IN STOCK at JDs Clubs! Shafts are among the most misunderstood product categories in the complex world of the golf industry. It’s important to choose wisely the right shaft for your club as it plays a pivotal role in your consistency. Not just plain sticks, shafts have significant effects on the player’s performance as it provides the best chance at striking the center of the face. This will eventually result in optimal launch conditions on the course. In line with this, JD’s Clubs has an innovative feature coming its way – the Fujikura Ventus. On analogy, shaft to golf is transmission to a car. It may not be the engine itself but is still as important. Of course, a transmission for a truck would be different to that of a sports car. This correspondence is influential for picking the right shaft for your swing. Your ability to deliver the clubhead accurately at impact depends on a few variables. This means that selecting the most suitable shaft is not as simple as picking the right flexes. To top the list, shafts have their way of handling the force that a player’s swing will apply. Some players apply a late load to their swing, which would entail a stiffer tip of the driver shaft. On the other hand, some players, mostly recreational, extend early in their swing which then requires a shaft with a softer tip. A shaft’s weight can range from 40 to 135 grams. With that great scope, getting the correct weight of shaft for you is critical. Simply put, a lighter shaft is advantageous for a golfer with a slower swing. Typically, you would add weight as swing speed increases. If you think that manufacturers adhere to a universal standard, then you are wrong. No matter where or whom you buy it from, a shaft marked regular or stiff is not the same across the board. Stiff flex for one company could produce the same performance as another’s regular. In another analogy, shafts are like burgers. There are kinds with meat that isn’t fresh or of high quality but still satiates the appetite nonetheless. However, there are also types that with a bit more money, you’ll be able to tell the difference. Likewise, the quality of shafts also affects your ability to strike a golf ball accurately. Following the previous entry, quality control determines the difference between stock shafts and aftermarket shafts. This is why it’s important to know that your trusted dealer gets the right shafts from reputable companies. In this booming industry of golf, Fujikura is among the leading manufacturers of innovative golf shafts. The company believes that a player can always do better if he has the best golf equipment smack at his hand. 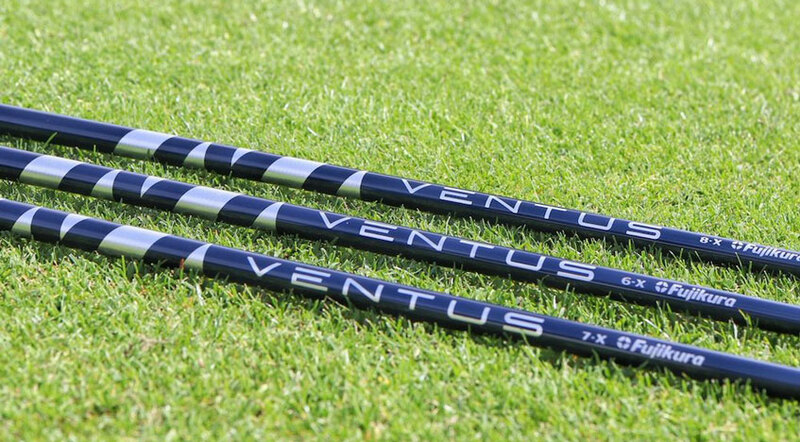 Now, it has a new shaft coming to town – the Fujikura Ventus. Sit back and relax as JD’s Clubs prepares to deliver its shining glory right to your door.